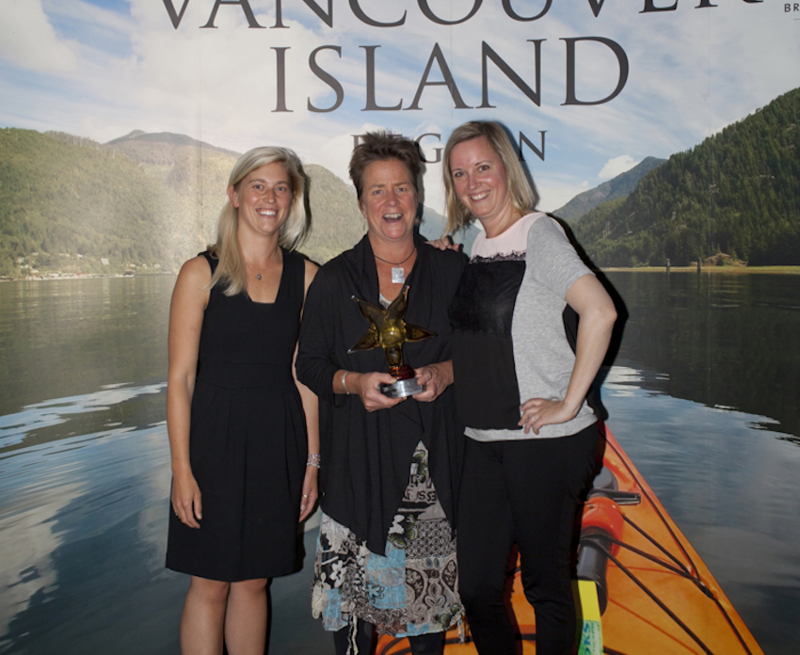 Tofino, BC, September 16, 2014 – Tourism Tofino today announced that its 2013 “Get Your Surf On” campaign was recognized with the “Multi Media Marketing Award” at Tourism Vancouver Island’s 51st annual Gala Dinner and Awards Ceremony on September 10, 2014. Corene Inouye, a member of Tourism Tofino’s Board of Directors and Director of Operations at Jamie's Whaling Station and Rainforest Inn, was also honoured at the event with the “MVP Award” recognizing her outstanding contributions to Vancouver Island’s tourism industry. Tourism Vancouver Island’s Multi Media Marketing Award recognizes a business or organization for its innovative use of various forms of social media and traditional marketing mediums in a specific and targeted campaignthat was successful in attracting visitors to their business or organization and the Vancouver Island Region. Previous winners include Tourism Victoria. Launched in September 2013, Tourism Tofino’s “Get Your Surf On” campaign integrated targeted messaging, carefully designed and placed regional print and online advertising, well-planned social media activities and contests, extensive media outreach and a media invitational event. In addition, 100% of Tofino surf shops and surf schools participated in the campaign development process resulting in agreement on the foundational “4 for 3 lessons and equipment rental” offer used as the campaign’s advertising call-to-action. - More than 50 journalists were made aware of the campaign and more than a dozen, including journalists from VO, attended the “Tourism Tofino and Partners” media event. The campaign resulted in extensive editorial coverage in more than a dozen regional publications. Vancouver Observer covered the Queen of the Peak women's surfing competition during the campaign. - Accommodation visitation increased +9.7% in October and +19.7% in November over the same periods in 2012 as a direct result of the targeted messaging in key short-haul markets promoting the campaign. Tourism Vancouver Island is one of six regional destination management organizations in British Columbia that represent Destination British Columbia through the delivery of co-operativemarketing and community development programs. 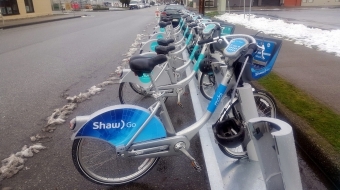 In December 2011, Tourism Vancouver Island received accreditation from the Destination Marketing Accreditation Program (DMAP) by demonstrating a commitment to quality programs and services.